From Cincinnati Business Courier: Should we raise the minimum wage? 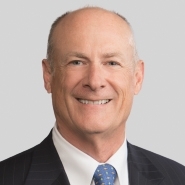 In an opinion piece published in the Cincinnati Business Courier, partner David Croall discusses the well-debated minimum wage increase. “Minimum wage proposals are hotly debated and those debates, like a badly designed light bulb, often generate more heat than illumination,” Croall writes.